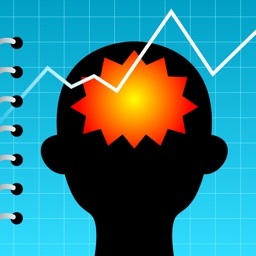 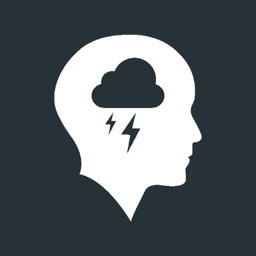 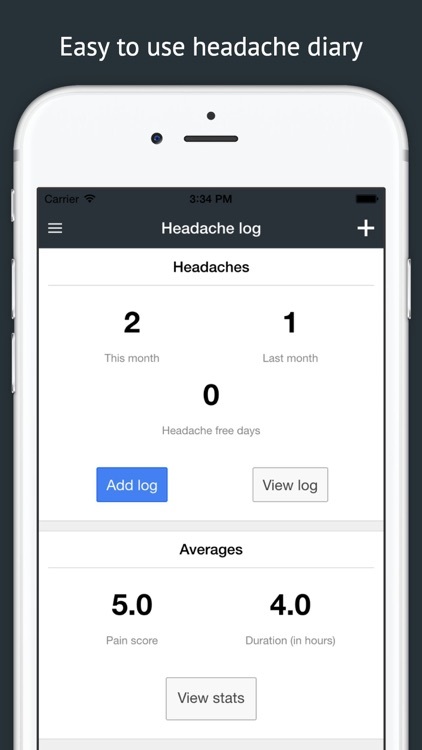 Keep track of your headaches to identify triggers & migraine causes. 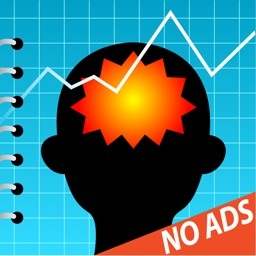 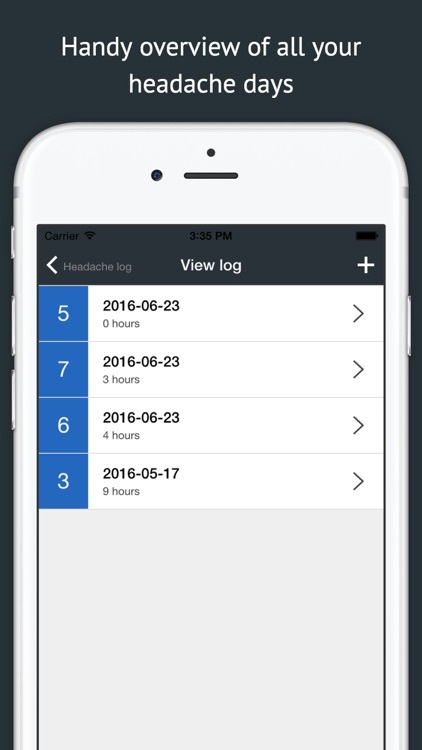 This headache log is an effective way to track headaches, useful for migraine prevention. 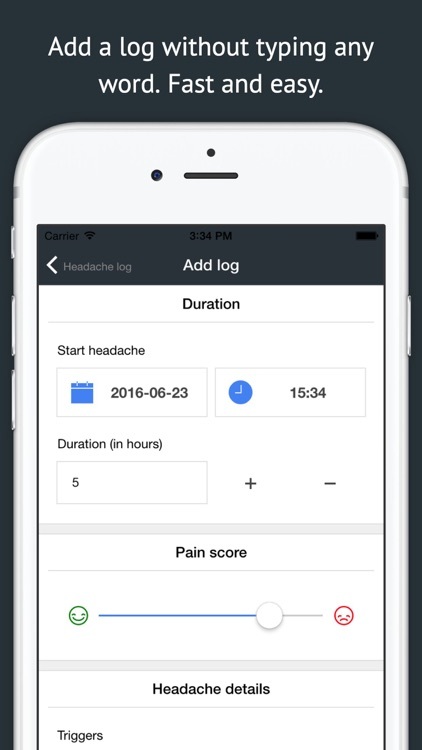 More than a standard headache and migraine diary, this log helps users record and identify triggers, symptoms, medication, frequency, duration, location and pain intensity. 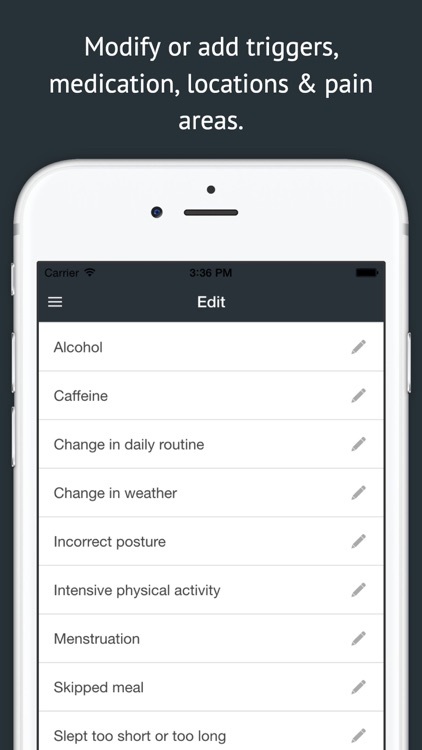 Easy to use with a clean design. 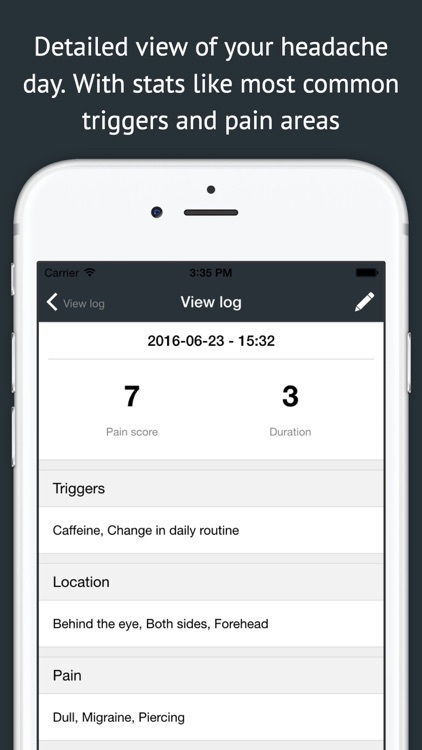 It's simple to insert a new record & you can add new triggers, medications, pains or locations with an easy to understand layout. 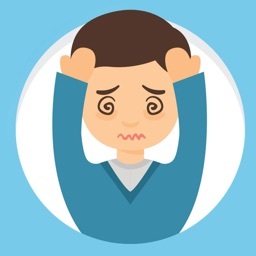 View statistics about your headaches like how many have been recorded (in total, this month & last month), how many "head ache free" days since your last headache, average pain score, average duration & the most common pain (areas), triggers and medication.